There is no scarcity of online PDF converters on the web, type pdf conversion and you will see a mixed bag of results. You will find individual tools that offer particular conversion types, like PDF to Word or something similar. Most of these tools come with ads, they are free for a limited number of conversions, or require email registration that will be used for advertising later. It would be all good if the conversion quality they offer is the best, but often it isn’t. That is why it’s our pleasure to introduce you to one new online PDF suite that promises to change things for the better. Convert scanned or regular PDF to Word, Excel, PowerPoint, GIF, JPG, AutoCAD. Convert other formats like Word, Excel, PowerPoint, and JPG to PDF. OCR online to extract data from scanned images to one of these outputs: Word, Excel, or Text. Split PDF into multiple PDFs to make separate documents. Merge PDFs to make a single file from two or more PDF files. Compress PDF to reduce a size of your PDF. Add documents for conversion from either local storage or the cloud (Google Drive and Dropbox). Available on browsers with every platform: Windows, Mac, Linux, and smartphones. Fast conversions, completed in less than a minute. Conversions are performed online by automated servers with an end-to-end encryption. No humans have access to these files. The files are deleted from servers after 6 hours by default. Your data will be secure. Easy PDF has a very clean user interface which is pretty straight-forward, no bells and whistles here. On the homepage, you can see all the available options which you can choose. If you have a different language preference, you can change language option from the bottom of the page with the globe icon. There are 14 languages available, so hopefully, you will find the one you need. PDF conversion to other formats is pretty simple. You only need to select your desired type of conversion, like “PDF to Word” and upload a PDF file. Easy PDF has conversion servers with integrated OCR technology that auto-detects when a scanned file is converting. So, it doesn’t make any difference for the user if he is converting scanned or regular PDF – the process remains the same. You can import a file either from your device (manually browsing or “drag & drop” file) or cloud storage (Google Drive and Dropbox). Click green “Convert PDF” button and wait a minute for conversion to finish. In order to download the PDF file, you will need to click the “Download your file” button. Creating PDF files from other documents follows the same procedure as PDF conversion. 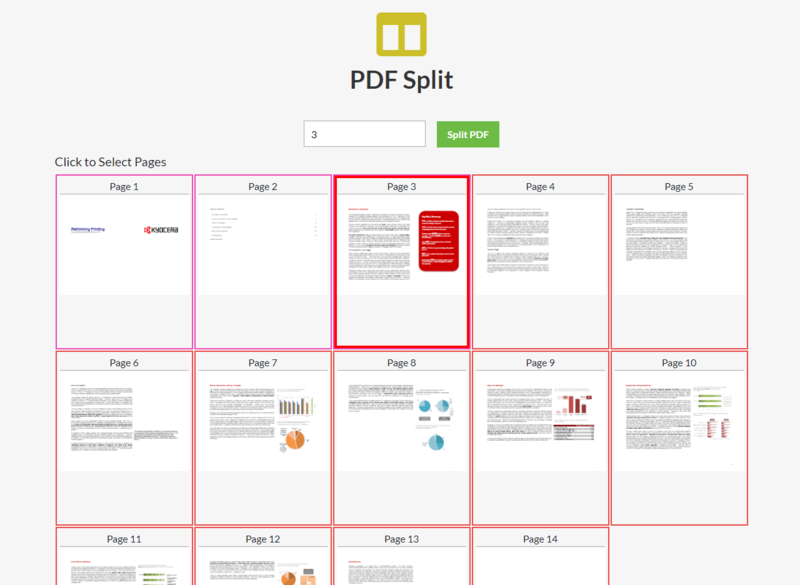 For PDF splitting you will need to upload a document with at least two pages. The preview of pages will show up. Choose on which page you want to split the file and press the “Split PDF” button. To merge two or more PDFs (multiple) into a single document, choose the desired files and press “Merge PDFs” button. You cannot upload all the files at once, but one by one. And don’t forget, you need to upload at least two PDF files. 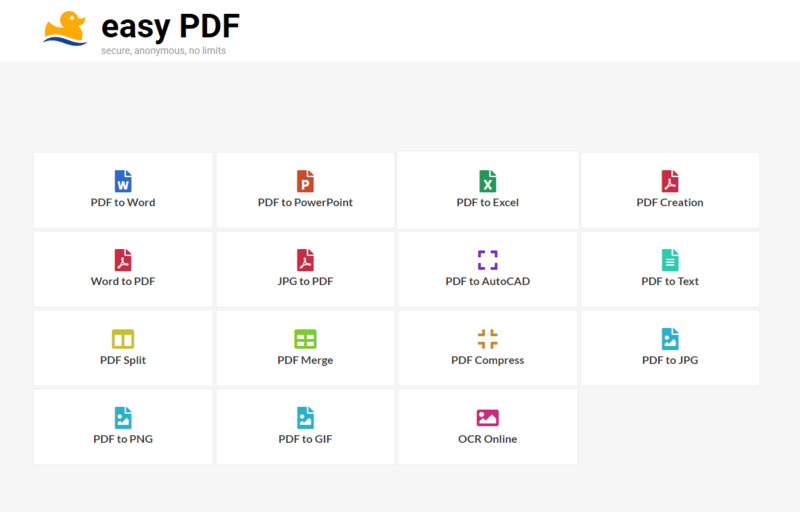 If the size of your merged file is too big, you can upload the merged PDF on Compress PDF tool that you will find on the list of tools on the Easy PDF homepage. Compress PDF works the same as the PDF conversion tools we mentioned above. The OCR online is meant for extracting the data from scanned images. You will need to import the image file and choose the output. You can choose between Word, Excel, and Text. That covers all the tools on Easy PDF suite. You can convert and edit your files in only a few minutes. It is a great tool that requires no registration or payment to use it. 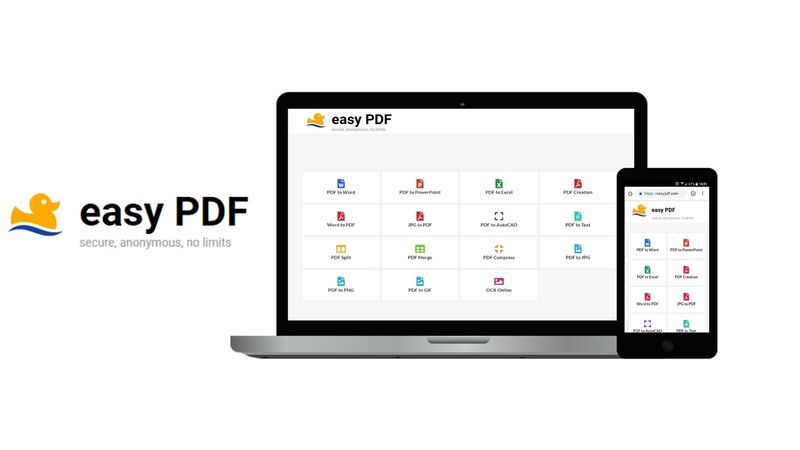 If you consider a new way to convert PDFs online, you won’t regret going with Easy PDF.